Friday night Beckley based Lady D & MI$$ION make their first appearance at the world famous Empty Glass. This is you chance to see what happens when a legendary artist collides with a legendary venue. You can hear some blues, jazz, pop and soul with a dusting of reggae on top. 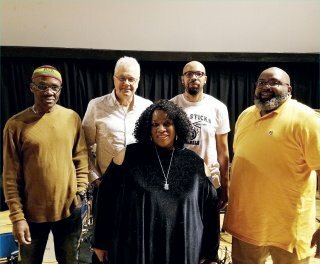 Lady D is known as “W.Va.’s First Lady of Soul” and soul is what you’ll get with the Lady and her crew! Bring your dancin’ shoes for another great night at the Glass. Seven dollars gets you in the door and the music starts at 10 PM. The Empty Glass is located at 410 Elizabeth Street in Charleston’s Historic East End. Saturday is Free Comic Book Day, and I am at a bit of a disadvantage here. I’ve been a loyal and satisfied customer of Westfield Comics for twenty years now, and I’m not even sure which local comic book stores are participating. If you regularly shop at a local comic store, chances are they’ll take part. You can get two or three (or more) of the FCBD comics just for showing up. Last year Books A Million also took part, and they may do so again this year. 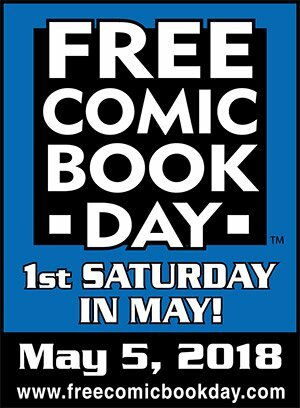 If, like me, you are a Westfield customer, you can stay up Friday night until 1 AM, when you can go online and order all 52 of the FCBD comics before they’re all gone. All you have to do is pay postage. If you’re into digital comics (your PopCulteer isn’t), you can find all sorts of digital freebies, some of which have been available all week, like over at Empire Comics Lab. Any way you do it, free comics, folks.